Due to security concerns related to storing credentials to other applications, we are deprecating basic auth in Workflow webhooks on April 1. 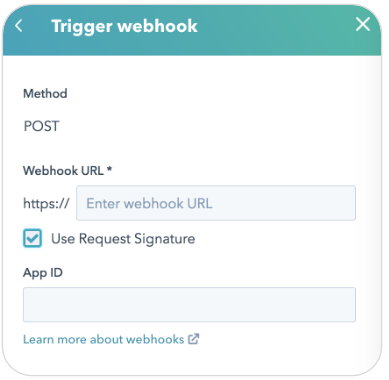 Many of you use basic auth to verify that webhook requests are coming from HubSpot. Now, we are offering a better, more secure way of verifying webhooks with request signatures. To help you get started with this new flow, we’ve created documentation on how to set up request signatures. To help facilitate the migration, you’ll be able to use both basic auth and request signatures during the transition period between now and April 1, 2019. 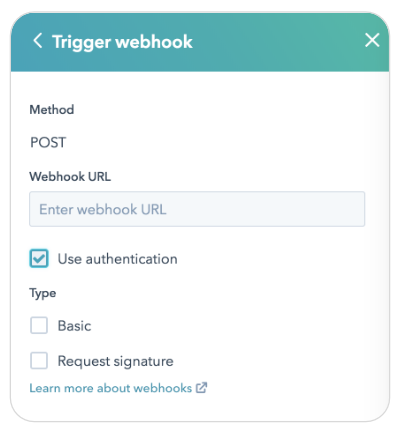 If you are using a third-party integration that relies on webhooks and basic auth, please let us know so we can contact the integrator for you. Otherwise, you’ll need to reach out to the integrator directly. A customer email was sent out last month to give users of this feature a heads up about the deprecation. Previously, the deprecation was going to take place on March 1. The deadline has now been extended to April 1. If you have questions about these changes, please email Bella Wu (bwu@hubspot.com).